Police are investigating after a person was shot in Boston's Hyde Park neighborhood. The victim drove about two miles away to Mattapan. Police are investigating after a person was shot Monday in Boston's Hyde Park neighborhood. 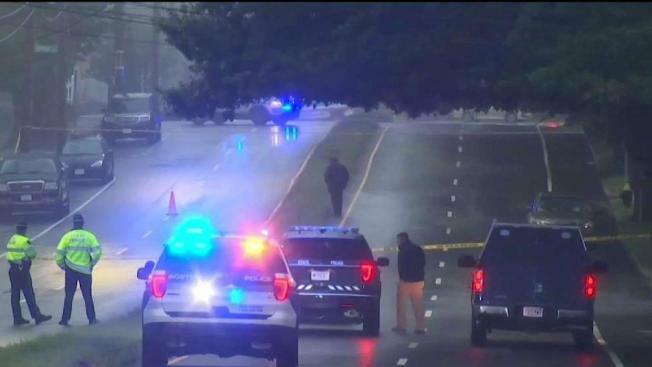 Massachusetts State Police say the victim was shot around 6:15 p.m. at the intersection of Truman Parkway and Fairmont Street. Police say the man drove about two miles to River Street in Mattapan. His Nissan was left with bullets in the windshield. The victim was taken to Boston Medical Center with non-life-threatening injuries. Families near the scene of the shooting say the neighborhood is usually quiet, and the shooting is alarming. "It's really scary," said Jocelyn Pacheco. "I feel like this typically is a safe neighborhood, so that is really unexpected behavior and it kind of makes me feel uneasy." State troopers are with the victim at the hospital.